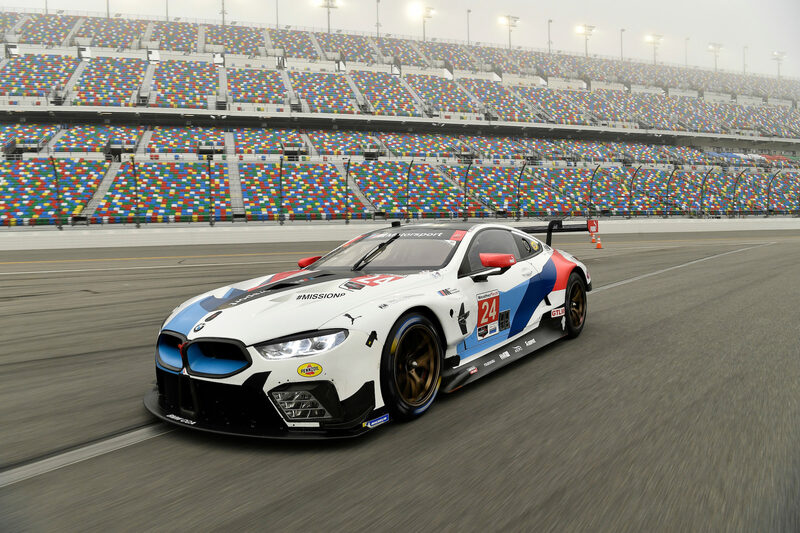 It’s hard to quantify the exact measurements of Alex Zanardi’s presence at the 2019 Rolex 24 At Daytona. Zanardi’s story is undoubtedly one of the key story lines to follow at this year’s race. That he’s racing at all speaks to his unparalleled drive and determination to add more chapters to an illustrious career. Here’s the quick backstory if you aren’t already aware. The now 52-year-old Italian first arrived in North America in 1996, following a handful of years in Formula 1. Somewhat under-the-radar beforehand, Zanardi joined the Chip Ganassi Racing IndyCar team, and made an incredible impression on the sport. His passes, attitude, flair and ebullient personality made him one of the most popular drivers in the world. He won back-to-back championships in 1997 and 1998. However in 2001, following a tough one-year return to F1, he came back to IndyCar. He struggled to recapture the same results with another team. In Germany, things took an unexpected and terrifying turn. After leaving the pit lane while leading the race, the back end of Zanardi’s car came around and another driver struck him. 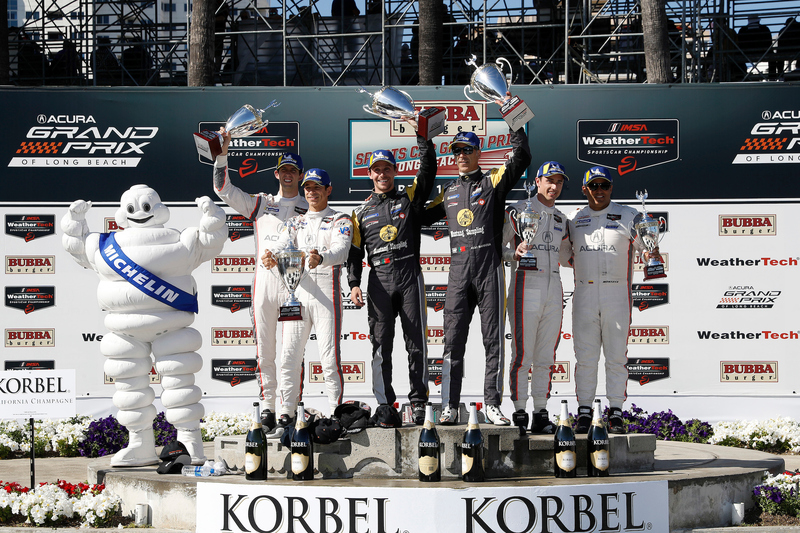 This cost him both his legs; However, IndyCar’s on-site medical team saved his life thanks to an immediate rapid response. Zanardi’s recovery and comeback since is nothing short of remarkable. He’s not down on his luck. Instead, he hatched a second career, racing modified racecars with hand controls and doing cycling events in the Paralympics. Naturally, his competitive spirit still burned brightly. He went on to win Gold Medals in the hand-cycling events in both the 2012 and 2016 Paralympic Games. In the racing world, Zanardi and BMW have forged a relationship. It began first in touring cars, then shifted to GT cars. When BMW Motorsport Director Jens Marquardt pitched the idea of Zanardi racing a 24-hour race with the new M8 GTE, he simply couldn’t say no. 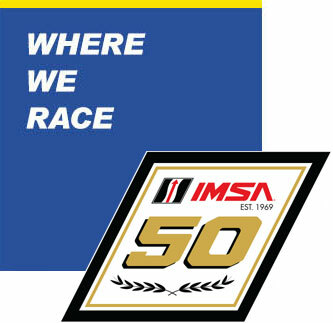 “Well, I always had it in my dreams list… Jens Marquardt was nice enough to one day approach me and say, ‘Alex, if ever we want to get you involved a 24-hour race, whether it’s Daytona or Le Mans, which one would you prefer?’” Zanardi told MichelinRacingUSA.com. 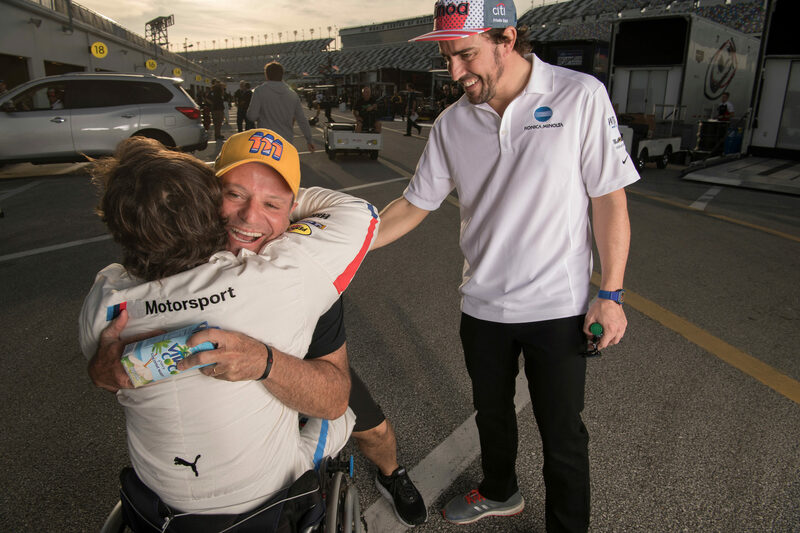 Zanardi’s return to the paddock for the ROAR Before the Rolex 24 test drew smiles, photos, and people beyond a measurable number. So many friends from his IndyCar and/or F1 days couldn’t wait to see him, and it seemed as though Zanardi couldn’t move more than a foot without a new person saying hello. At one point during a photo shoot, both Rubens Barrichello and Fernando Alonso approached him as emotions overflowed. Zanardi said he wished he could go to dinner with every fan and every friend. One fan took that literally one night, and promptly picked up the check for Zanardi and his family at a restaurant near the track. The chance to race the new BMW M8 GTE reunites Zanardi with Michelin for the first time since his Formula 3 days early on in his career. As Zanardi laughed, that means he’s had more than 20 years in-between stints. 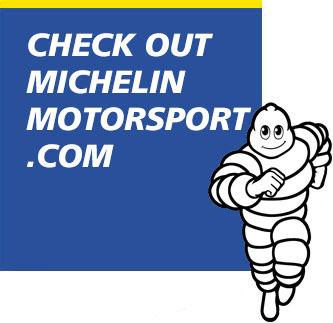 “I had previous experiences (with Michelin) in my racing career, back in my Formula 3 days. I mean, there were dinosaurs were still going around in the bushes of the circuit!” Zanardi laughed. 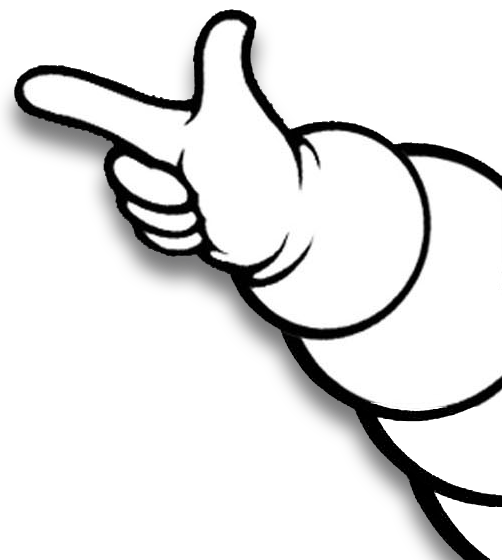 Adapting to the feel of the confidential, highly proprietary Michelin GT Le Mans range of tires for the BMW Team RLL entry was an adjustment, but as Zanardi noted, not a surprise. 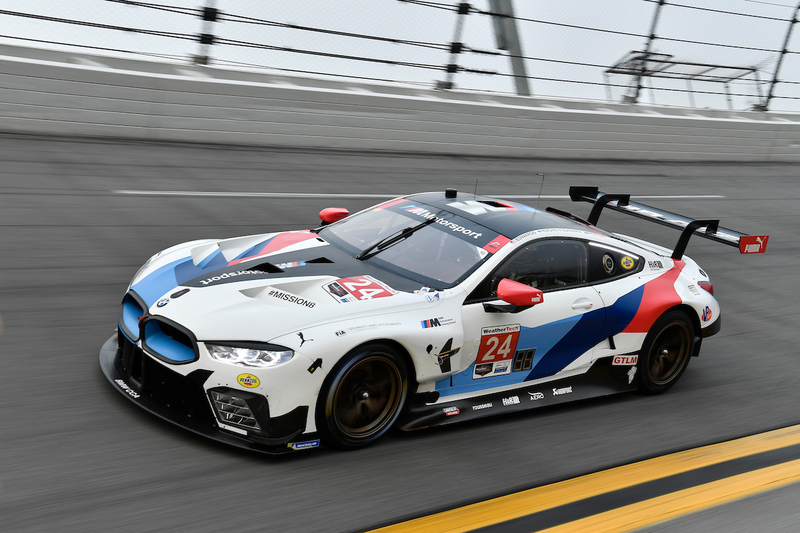 The technology on the seemingly space age BMW M8 GTE is also further ahead compared to some of Zanardi’s earlier racecars. BMW modified the steering wheel, in particular, so Zanardi can use that in coordination with the throttle and brake. His hands are always moving and he noted he feels almost like a conductor conducting a symphony. “The technology is an instrument. It provides you different instruments that many years ago were not available,” he said. Zanardi went to Munich, Germany to explain his needs to the engineers. Less than a month later, he returned to find everything in exactly the right place he needed it! Zanardi said he isn’t doing this as a sideshow, and his performance level is within only a few tenths of his teammates. He shares the No. 24 BMW with the car’s full-season pairing of John Edwards and Jesse Krohn, and third driver Chaz “Mozzie” Mostert. Watching the team’s driver changes are simply astonishing. Zanardi manages to hoist himself straight from his wheelchair into the car when he gets in. After getting out from a stint, he uses his arms to propel himself to help the next driver get in. Zanardi’s focused on ensuring each of these are correct, because the nature of sports car racing is such that all drivers plus the crew contribute to the effort. “In life, I think it’s all about sharing. Emotion especially,” Zanardi said. “When there are bad ones, sharing helps ease the pain. When the emotions are good ones, to be able to share this with somebody makes it a multiplier of your joy. Of course you do feel the responsibility for the others. Because if you make a mistake, it’s not just for yourself, but it’s for an entire organization. But this is not much different than it was in the past. “Although this looks to be a sport where you act as a single, in reality, you do represent an entire organization. Where you’re just hanging around Sunday afternoon, if you make a mistake, you waste everybody’s job! The responsibility is slightly higher because I have three mates to share driving with, and to try to put up a performance that is at least as good as they’re capable to deliver. 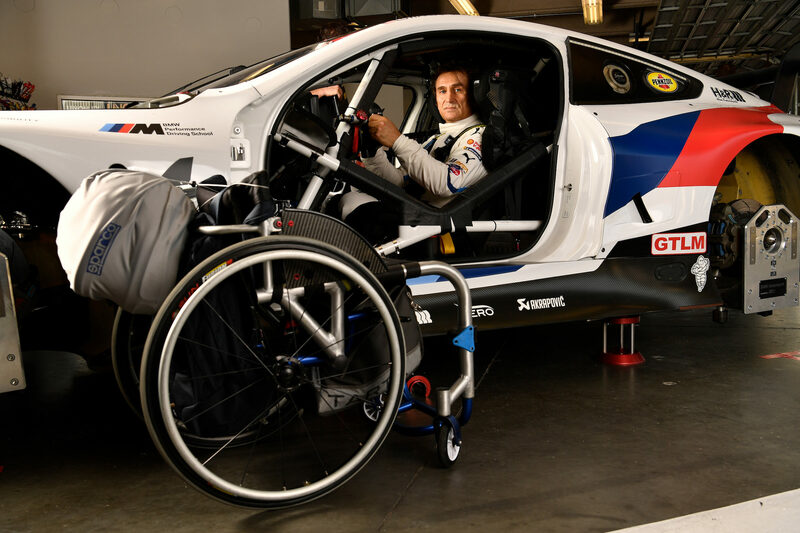 Zanardi’s effervescent spirit and determination has fueled this opportunity with BMW, the Rahal team, and to race on Michelin tires. “I’m a guy who is always anxious to grab the next opportunity and to try to see if this can become a new adventure,” he said. “This is definitely another adventure, another chapter in a long book of a very fortunate life. “But you don’t want to be too greedy. You don’t want to be thinking you have to do something. Otherwise you’ll miss something. You have to be very proud of what you’ve done already. And knowing if you could go back in time you would certainly do it in a better way – we are human beings, we are not perfect – but you can try to the best of your ability. And that is what it is all about. It’s as simple as this.